Categories: Holiday Specials, Stave Signs. 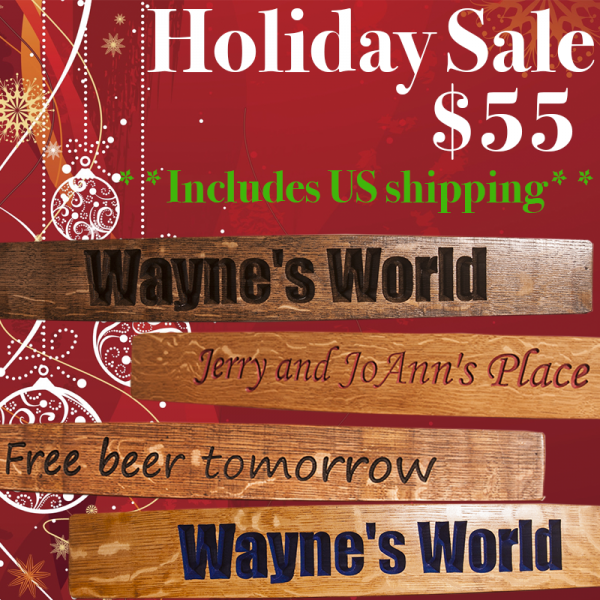 The perfect holiday gift for the wine, beer or spirits lover at a special price (Including US Shipping). 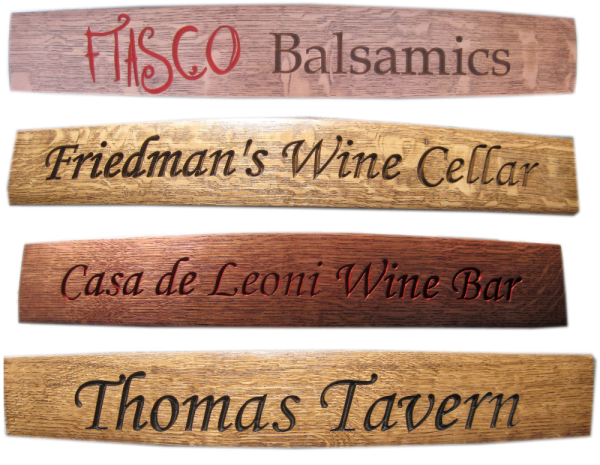 Give a personalized stave sign with your choice of carved and painted text, font, stain color and hanging hardware. We will size the text to fit and look good. 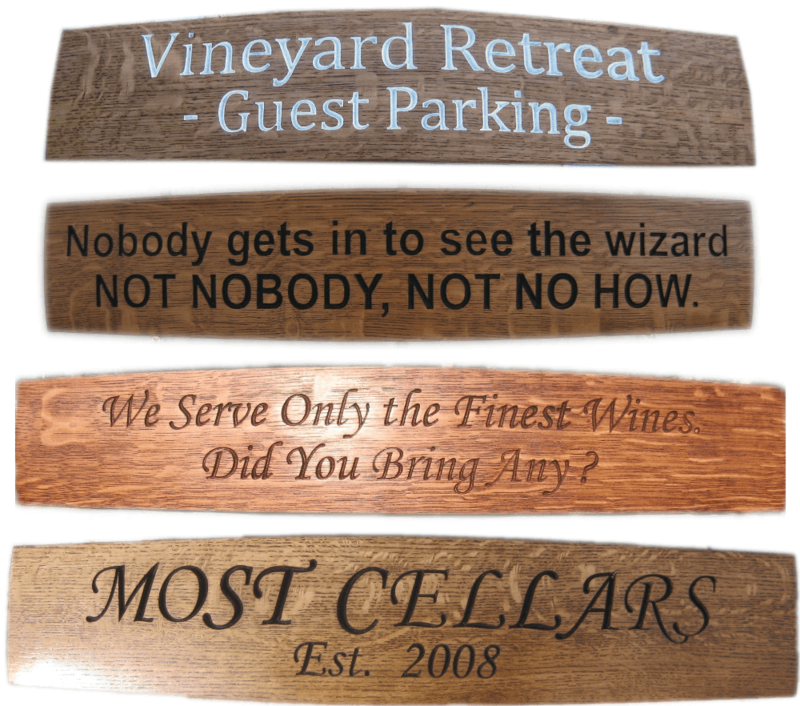 Our unique stave signs are made from the curved side staves from retired oak barrels used to age fine wine, whiskey or beer. 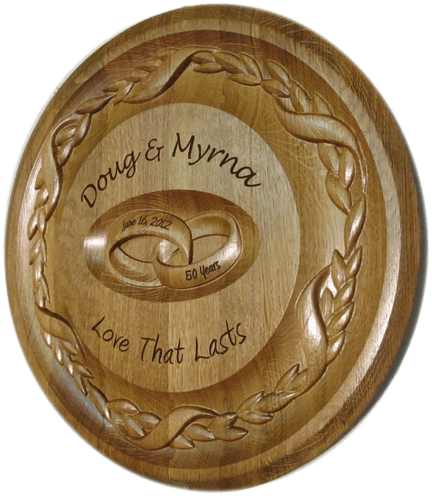 They are richly carved on the outside of the stave with the text of your choice, in the font of your choice, painted the color of your choice. 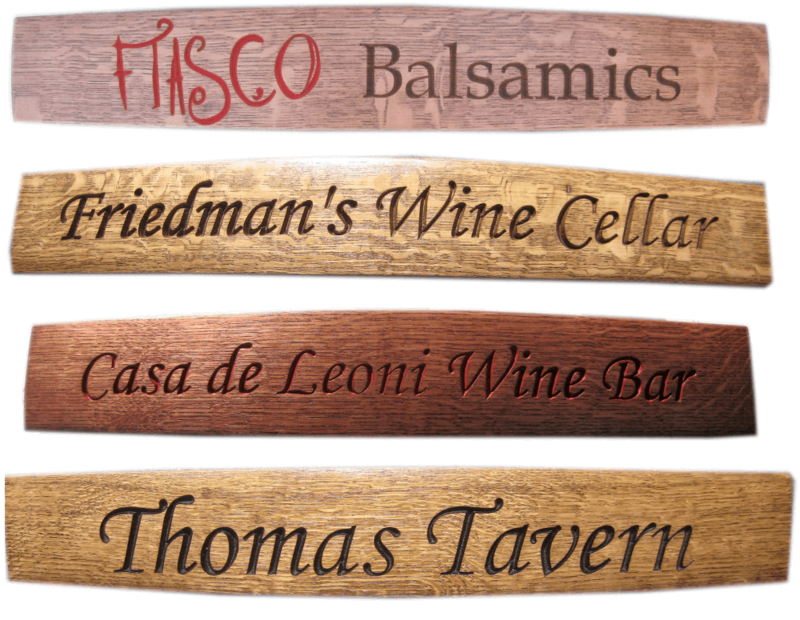 These stave signs are lightly sanded for a rustic look – leaving some of the marks from the barrel hoops in place, then stained the color of your choice, and top-coated with your choice of lacquer (for indoor display) or spar varnish (for outdoor display). You also choose the mounting or hanging hardware. 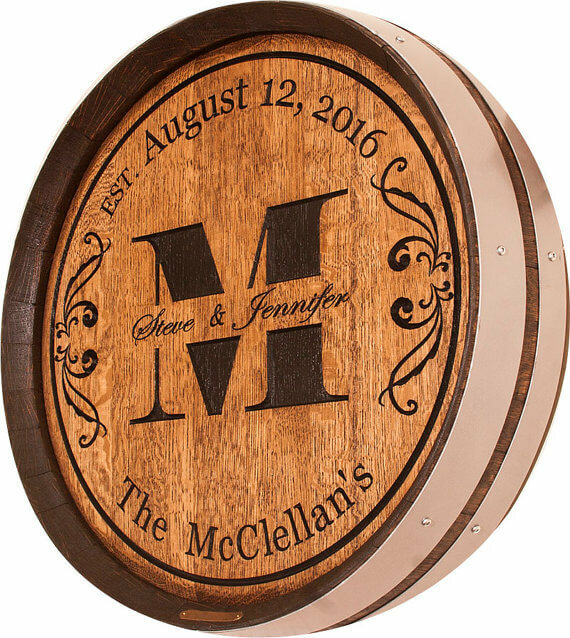 Authentic whiskey logo of your choice carved & painted with your choice of stain, in our 18" sixteenth barrel configuration with authentic quarter-sawn oak head and antiqued steel hoop. 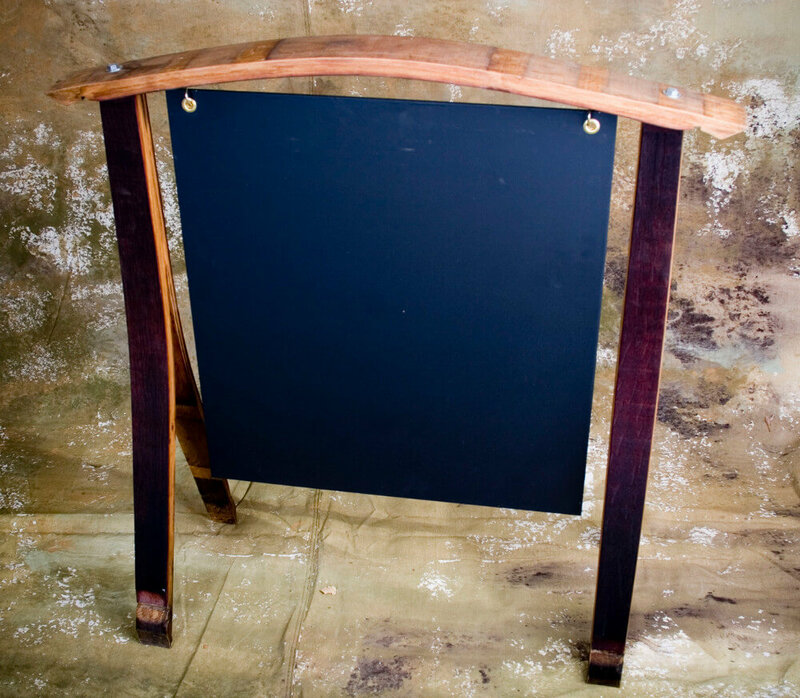 Makes an awesome wall hanging or serving tray, or both !